About the author: Tyler T. writes extensively on legal topics in the United States, with an emphasis on business development, content marketing, and compliance for attorneys and law firms. A member of the Montana State Bar, Tyler previously managed a small firm focusing on family law, estate planning, business, and tax. At Verblio, Tyler is a member of our elite pool of J.D. editors, who ensure that all of our legal content meets advertising compliance standards. In this 2,000+ word pillar piece, Tyler shares his knowledge on how marketing agencies can create effective content for their legal clients. Quality content creation is the essential aspect of a robust, effective online marketing strategy. As more and more potential clients turn to the internet for vetting professional services, it’s vital for businesses to ensure content is fresh, exciting, original, and properly attenuated to driving new customers to your door. The legal field is not immune to these market forces, and both solo practitioners as well as enterprise-level law firms are now turning to online marketing experts to ensure an effective web presence. However, marketing for legal professionals is not as cut-and-dried as most traditional service professions. 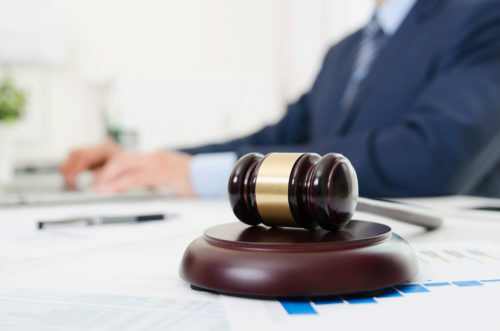 Rules of Professional Conduct place great scrutiny on attorney advertising; more importantly, as practitioners expand into ever-growing markets of new potential clients, navigating the diverse set of rules, regulations, and statutes governing legal marketing grows increasingly complex in the online arena. Accordingly, effective content creation can create some substantial hurdles for legal professionals. Tasking in-house authors with creating high-quality, compliant content can quickly interfere with obligations to preexisting clients; more importantly, firm managers are likely to find web marketing a highly inefficient and unnecessarily expensive use of a J.D.’s time. On the other hand, outsourcing a firm’s content marketing can place practitioners at risk of liability for noncompliant content. While demand for products and services may rise and fall, the demand for justice is constant. Below, we’ll explore a few reasons legal professionals need to use a content manager that understands compliance, and how authors exploring the broad field of law can ensure their content meets the high standards of the profession. As any experienced marketing professional can tell you, solid advertising means telling a good story. Fact, fiction, or a little of both, effective content inspires, entertains, and educates. And while the law may be a stellar background for exploring justice, fairness, philosophy, and a touch of stranger-than-fiction human oddities, we also recognize that attorneys are held to tight standards of conduct in attracting visitors to their corner of the marketplace. Since 1977 in Bates v. State Bar of Arizona, attorneys are free to use the same business-promoting media as other enterprises; and as any practitioner who’s made it through three years of law school, clinical practice, and hanging a shingle can attest, running a successful law practice is just as expensive, challenging, and time-consuming as any other business. However, unlike many business professionals, attorneys are tightly bound by compliance regulation in regards to marketing. The ABA Model Rules of Professional Conduct, adopted by the ABA House of Delegates in 1983, serve as models for the ethics rules of most jurisdictions. With the exception of California, virtually every U.S. jurisdiction has adopted the MRPC as a format for attorney compliance practices. Unfortunately, while the MRPC aims to ensure ethical legal practice, some of its mandates run perpendicular to many traditional advertising practices. Section 7.1 of the MRPC, for example, states that a practitioner “shall not make a false or misleading communication about the lawyer or the lawyer’s services.” Because there are state-by-state differences, however, in how that prohibition is interpreted— and since a website or online ad can be accessed by virtually anyone, anywhere—online marketing is a challenging pursuit. Obviously, guaranteeing compensation or going to trial are misleading promises. In less obvious forms of marketing, however, when can we tell when a marketing call is compliant or not? Is it proper to promise clients the practitioner will “pursue their case to the fullest extent of the law,” when doing so may be pursuable but not guaranteed? To promise services that are speedy, cost-effective, and productive, when, depending on the twists and turns of a longer-than-anticipated litigation, may not be? Obviously, we as officers of the Court aspire every day to do these very things, and yet may very well be running afoul of compliance when we try to instill confidence, hope, and optimism in our clients. In many cases, the answer actually is no! Beyond the mandates of MRPC 7.4, in many areas, experts in specific fields of law require special certifications, membership with designated organizations, or may even be barred in totality from marketing themselves as an “expert” or specialist, regardless of their experience. It can be difficult, particularly for new practitioners, to properly convey the scope and ability of their practice without an errant misstep into noncompliant territory. If it wasn’t tricky enough already for attorneys balancing effective business marketing with compliance obligations, most jurisdictions have adopted their own additions to the MRPC; while a call-to-action for prospective clients may be A-OK in one state, it may just as well prove an improper form of conduct in the jurisdiction next door. Beyond Bar Association requirements, many legislatures at the state and local level also place restrictions on attorneys’ marketing practices. Taken in the aggregate, it can be extremely challenging for both local practitioners and multi-state large firms to develop a marketing strategy that is both cost-effective as well as compliant. Thankfully, content marketing professionals like Verblio are here to help. Our talent pool of over 3,000+ experienced authors are driven to produce content oriented to legal professionals that’s engaging, informative, well-researched, and, most importantly, thoroughly curated by our team of marketing experts and legal professionals. We use in-house attorneys to ensure our content complies with attorney advertising regulations, and take advantage of a broad talent pool to produce content that drives clients to your landing page. Verblio’s writers are well-versed in tackling a broad array of popular legal topics. Whether novel questions of the law, emerging Appellate Court decisions, or simply useful, everyday legal tips for the average person, Verblio attracts creative minds from every corner of the legal field and related professions. Current and former attorneys, paralegals, law students, and law enforcement professionals are complemented by experienced authors from all manner of industry; some of the best legal writing we encounter, in fact, comes from the minds of healthcare, insurance, entertainment, real estate, and government professionals among our broad pool of talented authors. This allows us to produce content for legal professionals that is diverse, educational, entertaining, and best of all, specially curated to ensure compliance with professional conduct expectations. At Verblio, we produce legal content that will help clients attract business without running afoul of compliance issues. Every jurisdiction adopts its own rules governing attorney marketing, and in many cases, aren’t exactly clear on what is and isn’t compliant. This is why we work closely with our clients to ensure content is specially targeted for their individual practice region, area of the law, online content aspirations. 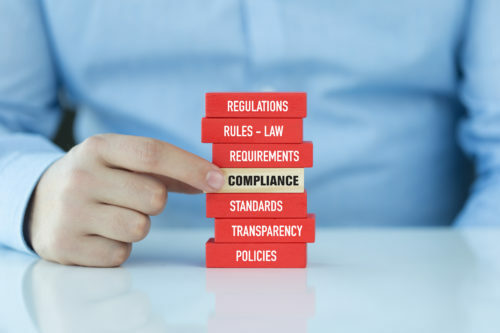 While specific rules may vary from client to client, these are a few guidelines to ensure content is unlikely to run into potential compliance issues. This applies in particular to case results. “John Jay aspires to ensure clients receive the compensation owed to them under the law” is effective; “John Jay promises a settlement or verdict in your favor” is not. This is also why it is, generally, better to avoid including client testimonials or notable verdicts, so as not to create an unrealistic expectation in the reader. This is also why we avoid using superlatives in regards to attorneys or firms; unsubstantiated comparisons to other practitioners, whether direct or implied, can often run afoul of compliance regulations. For example, “John Jay is the best criminal defense attorney in the State!” is likely noncompliant; however “John Jay was last year’s recipient of the State Bar’s Distinguished Trial Attorney award” is compliant, as it is a substantiated, objective claim. As we mentioned earlier, many states prevent attorneys from claiming a specialty or expertise without certain exclusions. Accordingly, it’s best to avoid statements like “Oliver Holmes specializes in personal injury claims,” but “Oliver Holmes has over twenty years of experience litigating personal injury cases” is likely compliant. In general, it’s best to avoid terms like “best, authority, famous, preeminent, etc.” Focus on experience, honesty, commitment, and related characteristics. Definitive statements or promises are usually a bad idea. “Hugo Black will win your case” is clearly a noncompliant promise. Furthermore, attesting to take certain actions are also likely noncompliant; promises to go to trial, ensure a settlement, etc. are simply impossible to substantiate, and commonly barred rules of professional conduct. This applies doubly to promises of compensation; it is not compliant, for example, to give clients an expectation of a certain award for damages. “If you’ve been injured by a city bus, you are entitled to compensation from the City” is improper; on the other hand, “Clients injured by city buses may be entitled to compensation for pain and suffering, lost wages, etc.” is likely compliant. In cases of contingency fees (where an attorney does not collect payment from a client unless a settlement or judgment is obtained), it’s best to avoid describing the arrangement as “no cost” or “no risk to you.” Court filing fees, for example, are one of the expenses a client may incur regardless of the outcome of the case. Discussions of fee arrangements, settlements, or compensation are best left between the attorney and the client. Along with ensuring that our experienced writers are creating content with legal compliance standards in mind, Verblio has also implemented an additional layer of oversight to ensure that we are representing firms and individual practitioners effectively. Content for our legal clients can be edited by an elite task force of JD editors, who have passed the Bar Examination in their home states. With an extra layer of editing by our JD team, Verblio can deliver content to our legal clients with confidence. After introducing our editors to each legal client’s individual preferences, we are able to ensure that all content has been highly vetted before it is published. Many aspects of the justice system are complex, and legal procedure, terminology, and details can vary wildly from jurisdiction to jurisdiction. This doesn’t mean, however, that you need to be an attorney to produce content for legal web sites that is engaging, entertaining, and effective. 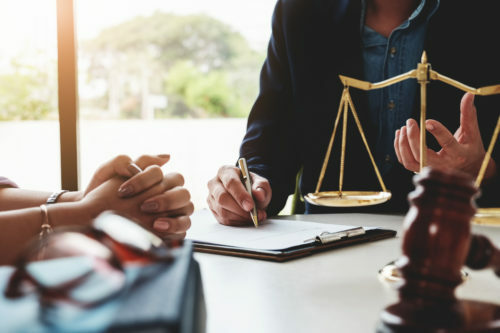 Virtually any profession involves the legal field in some way, and using your particular background is a phenomenal way to explore legal topics people might not think about. Healthcare professionals, for example, can give prospective clients useful advice for responding to the scene of a car accident, or the best practices for a personal injury victim going through rehabilitative therapy. Education professionals may be interested in exploring the role of children and students in the law, like exploring common legal issues in schools. Attorneys practice in every field imaginable, from science, medicine, and technology, to family dynamics, animal rights, and foreign affairs. You can use your particular background and interests to present novel perspectives on areas of the law, and with a little background research, draft high-quality legal content that is compliant, engaging, and entertaining. Verblio clients love the tremendous variety in perspectives, arguments, experiences, and beliefs we receive from our talented authors. In addition, our legal editors ensure that every piece of content is factual, compliant, and most importantly, written with the intent to collect, captivate, and inspire potential customers for clients. Whether you are a talented writer interested in creating content for the legal field, or a member of the legal profession looking to build a web presence with quality, compliant, and curated content, Verblio is excited to make the connection happen.